Pilgrim Bond are a professional and knowledgeable firm of specialist independent Chartered Surveyors and Estate Agents with a wealth of experience in equestrian, racing and rural property. 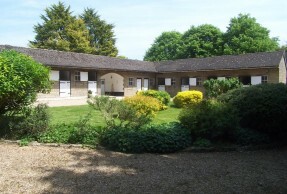 We have been selling, letting, acquiring, valuing, managing and advising on equestrian, racing and rural property for clients all over the country for 25 years. During this time, we have been involved with Racing Yards, Studs, Competition Yards, Livery Stables, Private Equestrian Yards, Gallops, Stables, Houses with Land, Agricultural Land, Estates, Farms and Smallholdings. As a firm of qualified Chartered Surveyors and Estate Agents we always act in our client’s best interests under the professional code of conduct of the Royal Institution of Chartered Surveyors and National Association of Estate Agents. We also have an in depth knowledge of the racing and equestrian world as all of our staff have horses and been involved in competitive equestrian sports. We would be pleased to discuss any equestrian, racing or rural property for sale and rent or any other related matters, on a confidential basis.